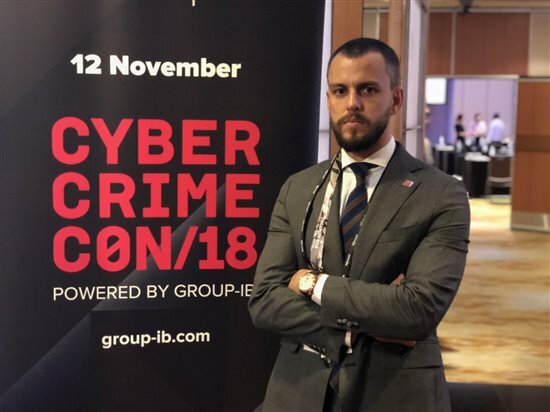 Group-IB, a Skolkovo resident company that specializes in preventing cyber attacks, is opening new global headquarters in Singapore, it announced at CyberCrimeCon 2018 in Singapore on Monday. Ilya Sachkov, CEO of Skolkovo resident company Group-IB at CyberCrimeCon in Singapore. Photo: Group-IB. The company is investing up to $30 million through 2022 in its global cyber threat-hunting infrastructure located in Singapore, and plans to keep developing that infrastructure at the premises of its new global HQ that the company is going to move to Singapore by the end of this year, Group-IB CEO Ilya Sachkov said at the conference, which was also held in Moscow last month. “Singapore is a global financial center, most favorable for running a global business,” said Sachkov. “The Singapore government aims to create a safe and secure ecosystem free of bureaucratic barriers for everyone: people, public and private companies, which is exactly what is needed for managing Group-IB’s global cyber threat-hunting infrastructure,” he said. “Moving this infrastructure to Singapore makes it possible to identify and detect advanced and previously unknown threats and new groups’ tactics and tools in order to protect private and public companies from state-sponsored and financially motivated hacker groups which have recently become more active in southeast Asia and Singapore,” added Sachkov. Group-IB Threat Intelligence lies at the root of the international infrastructure designed to proactively detect threats and investigate cybercrime around the world that Group-IB has been building over the last 15 years. The company has developed a database of more than 100,000 criminal profiles since 2003, which evolved into an intelligence-gathering network that now feeds Group-IB Threat Intelligence. The Skolkovo stand at the Smart Cities Showcase at the Suntec Singapore convention centre. Photo: Sk.ru. Southeast Asia is the most actively attacked region, according to Group-IB’s annual Hi-Tech Crime Trends Report 2018. In just one year, 21 state-sponsored groups were detected in this area, which is more than in the United States and Europe combined. Singapore is a global financial powerhouse, which makes it a primary target for financially motivated hacking groups, Group-IB said in a press release announcing its investment in Singapore. Southeast Asia and Singapore in particular will become one of the main targets for financially motivated advanced persistent threat (APT) groups that focus efforts on targeted attacks on the financial sector, according to Group-IB's forecasts. “Defense is an outdated strategy,” said Sachkov. “Hackers adapt their tools and tactics quickly. Private and public companies find it very challenging to keep up with rapidly evolving cyber threats. It is time to stop being victims and become hunters. This paradigm forms the basis of Group-IB’s approach to cyber protection and is reflected in its adversary-centric detection and threat-hunting infrastructure, which Group-IB is planning to develop and manage in Singapore together with highly skilled Singapore specialists,” he said. Southeast Asia, whose markets Group-IB entered three years ago, is one of the priority destinations for the company’s business development and accounts for more than 30 percent of its international revenue, Group-IB said in its press release. As well as its global HQ, the company will also move its intellectual property to Singapore, it added. "Hackers adapt their tools and tactics quickly. Private and public companies find it very challenging to keep up with rapidly evolving cyber threats. It is time to stop being victims and become hunters" - Ilya Sachkov, CEO of Group-IB. In Singapore, the company will create a digital forensic laboratory, cyber investigation department, GIB Computer Emergency Response Team (CERT-GIB) and a development department, according to the press release. In the next two years, Group-IB plans to hire 90 employees in Singapore, including 15 people from its Moscow HQ. The company has been an official partner of the INTERPOL Digital Crime Centre located in Singapore since 2017. Group-IB is not the only Skolkovo representative in Singapore this week. 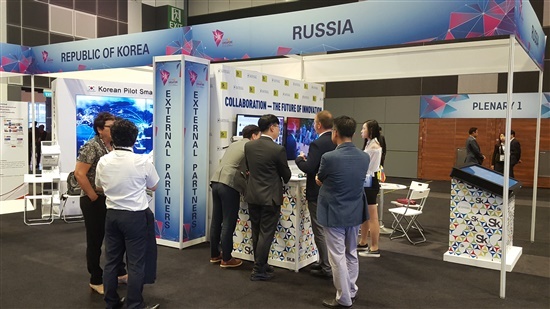 As part of Russian President Vladimir Putin’s state visit to Singapore and the Russia-ASEAN summit on November 13-15, Skolkovo has a stand at the Smart Cities Showcase that opened Sunday and runs through Thursday at the Suntec Singapore convention centre. Skolkovo is sharing a stand with Sistema to demonstrate the work of Group-IB and 20 Skolkovo resident companies working in the field of smart city technologies in four categories: industry, medicine, security and construction. Other countries represented at the exhibition include the U.S., Australia, China, Japan and Korea, as well as Singapore itself. Skolkovo is also taking part in the ASEAN Business and Investment Summit on November 12-13. The Skolkovo Foundation is also set to sign an MOU on November 13 with Singapore’s Action Community for Entrepreneurship (ACE), a private sector organisation set up to drive entrepreneurship and innovation in Singapore. They will cooperate to develop startup ecosystems in Russia and Singapore.